Looking for a low carb bread substitute? 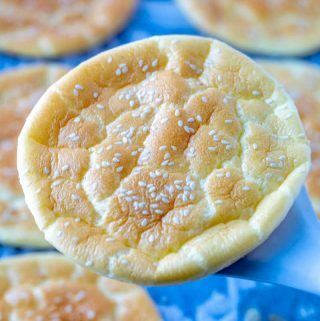 This Cloud Bread is the perfect, easy 5 ingredient recipe that whips up quick and is light, fluffy and addicting. So I’ve never been the one to really love diets. I’m more of an everything in moderation kind of person and usually I have been able to stick to that for the long haul. I did however go on a low carb/keto diet last year, and I really didn’t hate it. However it wasn’t something that I could really stick too, I did take away some amazing recipes that I still make regularly. This Cloud Bread is one of them. I got this recipe from a girlfriend that is diabetic and she always swore by it so she could cut out carbs. I had switched up her recipe a little bit to make it my own but essentially it is 4 basic ingredients which include, eggs, cream of tartar, cream cheese and sweetener. 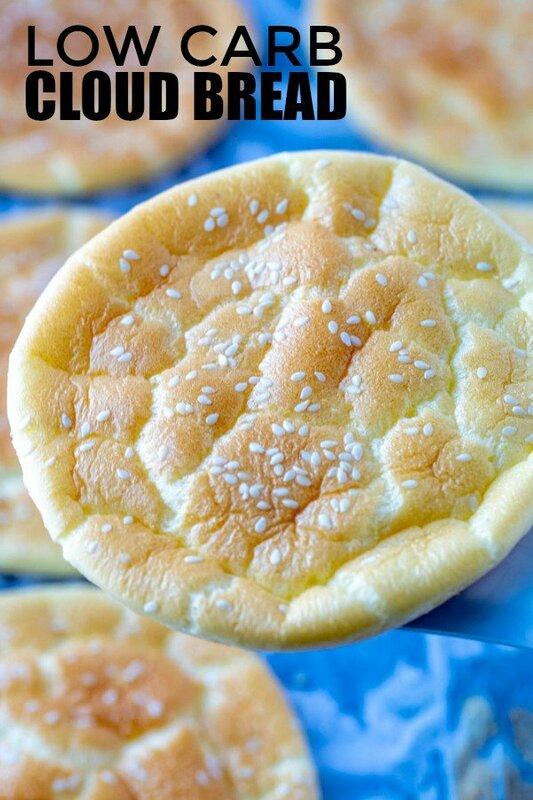 This cloud bread really makes these fun little buns that can be used for various things such as sandwiches, burgers, pita pockets, etc. You name it these can pretty much replace bread for those wanting to live a lower carb lifestyle. Line a baking sheet with non-stick cooking spray, set aside. In bowl beat together egg whites and cream of tartar until still peaks form. In another bowl beat your cream cheese until smooth, add in your egg yolks and sweetener and beat until combined. Gently fold in your egg whites, being careful not to deflate. Spread 6 mounds of your mixture onto baking sheet (we use a 4″ round cookie cutter) and sprinkle with sesame seeds. Bake in oven for 15-20 minutes until golden, remove and let cool slightly. 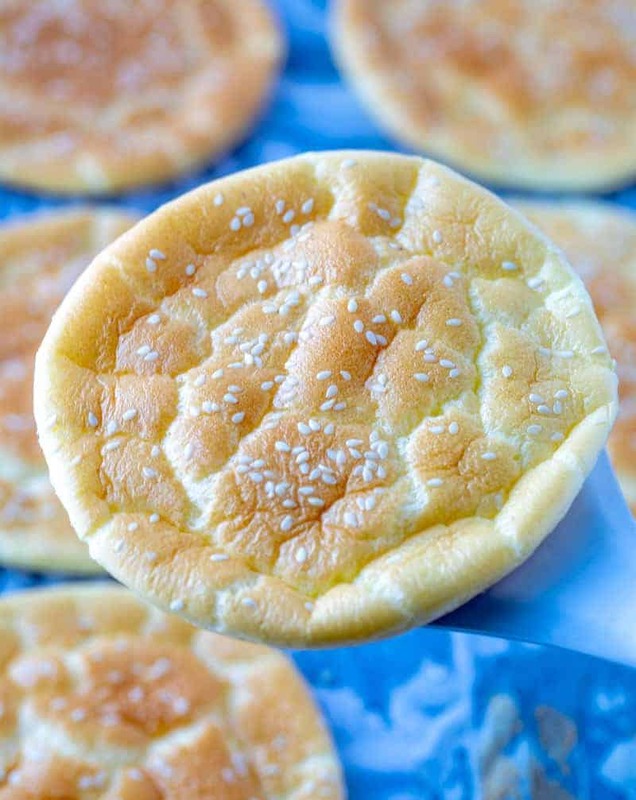 You literally couldn’t get any more easy with this Cloud Bread recipe! It is super simple. Trust me when I say that you will at least want to try it once! I know that there are some lower carb versions of bread out there, but it’s always nice when you can make this on your own at home rather than spend an arm and a leg at some in the store, we have to admit it can get pretty pricy. We like to use round cookie cutters or forms to form our “buns” you can make them larger or smaller based off of those and they make the perfect round shaped bun. Add in some seasonings such as garlic powder or any of your favorite spices to give the bun a little more flavor if you want a hint of that. The original recipe called for sugar, we replaced it with Stevia to make it even lower carb, you can also leave out the sweetener all together. Sprinkle with sesame seeds, poppy seeds or everything bagel seasoning to give it a nice visual appearance. 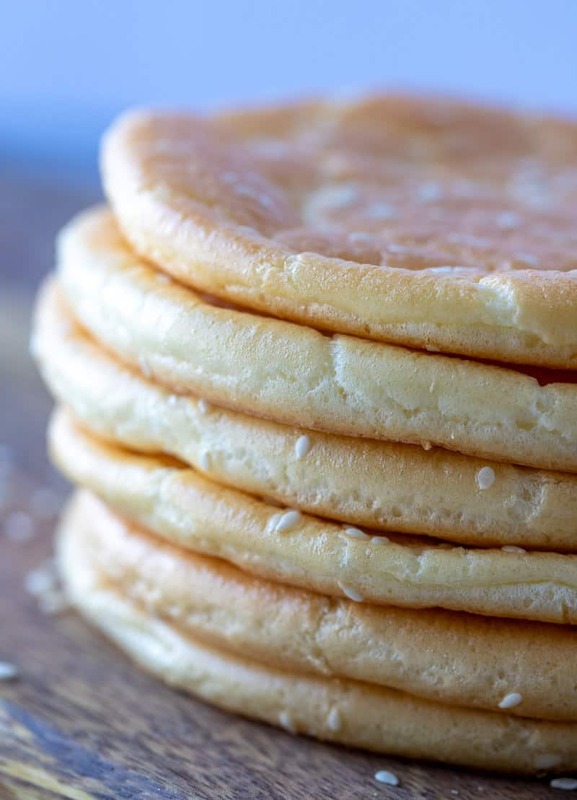 Beat your cream cheese separate before adding in your egg yolks and sweetener but don’t be worried if there are still bits of cream cheese not smooth, it will blend into the recipe once cooked. 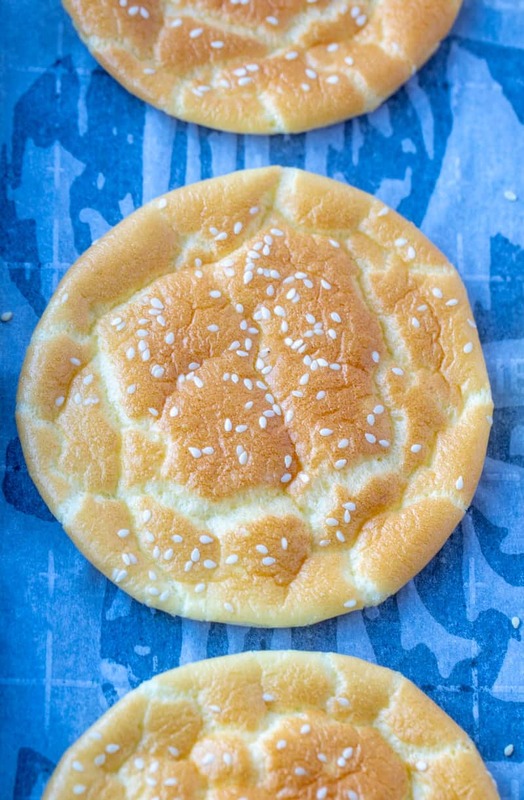 Use two cloud breads to create a bun, or slice gently down the center for a more “tortilla” effect or a pita pocket. 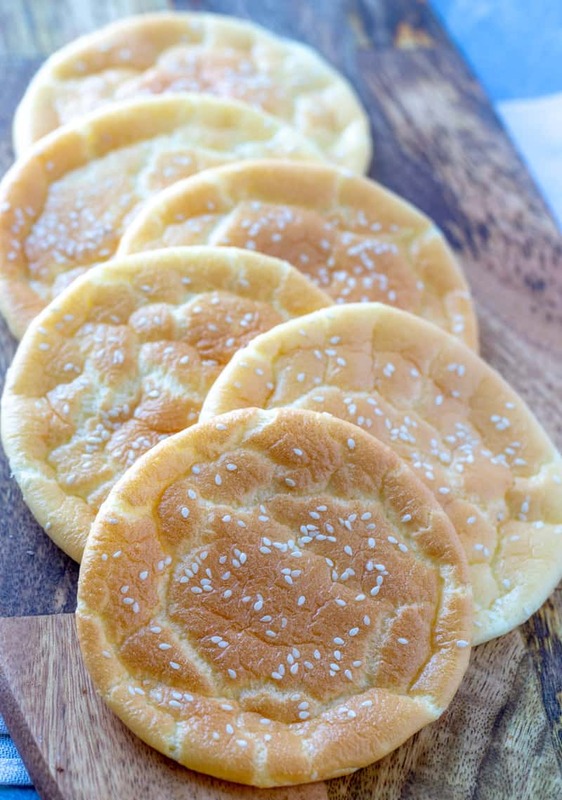 Cloud bread is the perfect way to get your bread craving in while not having to eat actual bread. While this really won’t always satisfy that craving completely, it is a great alternative! Spread 6 mounds of your mixture onto baking sheet (we use a 4" round cookie cutter) and sprinkle with sesame seeds. 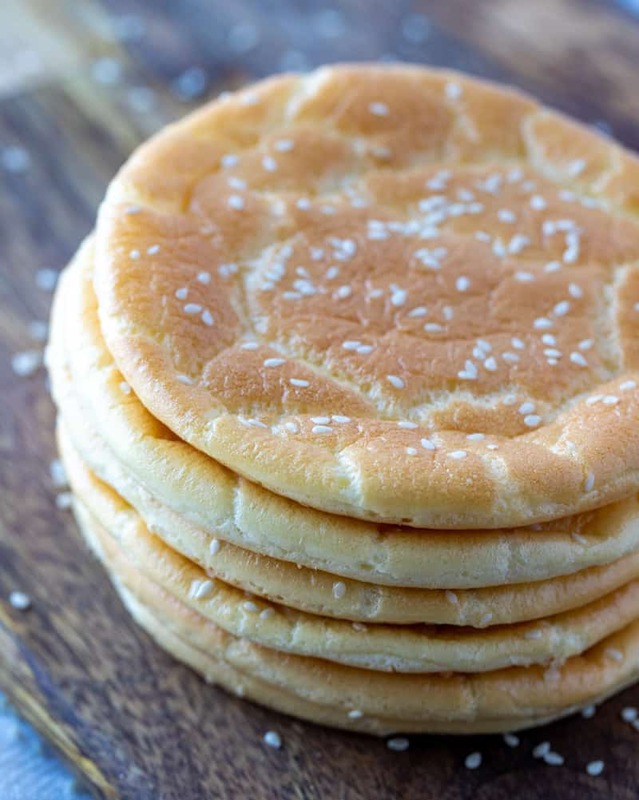 I have always wanted to try making cloud bread – your recipe looks fantastic! Need to give it a try. LOOKS INTERESTING, BEEN MEANING TO TRY THIS, MAY HAVE TO DO SO NOW! I’ll make it for you! It’s such a fun recipe without the guilt! I just love making homemade bread but the carbs are such a killer. Thanks for the recipe, I’m definitely going to give it a shot this weekend! I hope you like it! This is such an easy and quick recipe and you absolutely won’t feel guilty about eating this! This bread look so soft!! I need to try it! Love that it can be used for so many recipes & I won’t feel guilty eating it! I know right! It is so versatile and just fun and fluffy to eat! Oh I am excited about this bread. I have to try it soon.